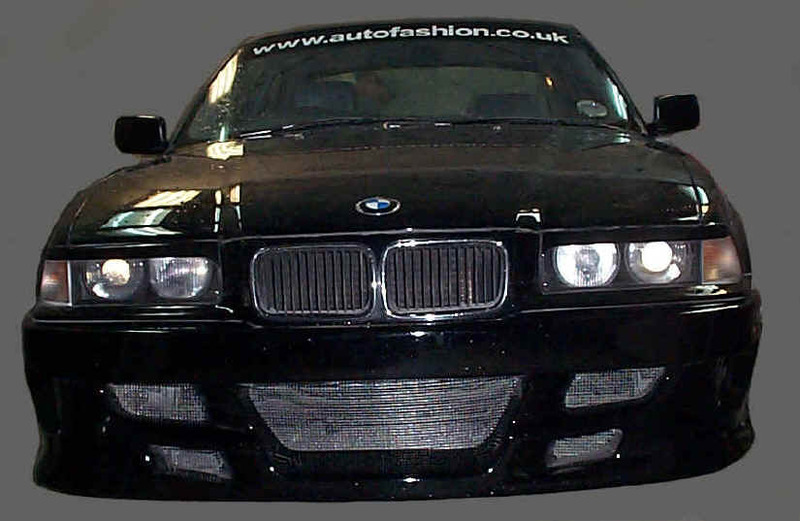 This E36 was the development car for the new Animal kit. 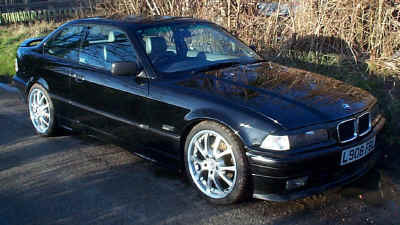 When it arrived it was a clean, but externally pretty standard and understated looking car - we changed that. 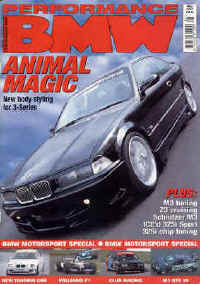 The car was featured on the Cover of Performance BMW May 2001, and in Fast Car during the summer. We have carried out some more work on the car and it made the cover of Fast Car July 2002, and should hopefully be featured again very soon. A smart but pretty understated car. 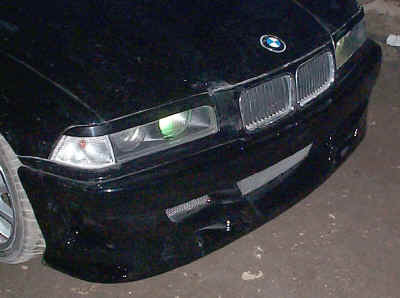 The eyebrow spoilers, and front lip were all that made the car stand out from the front. 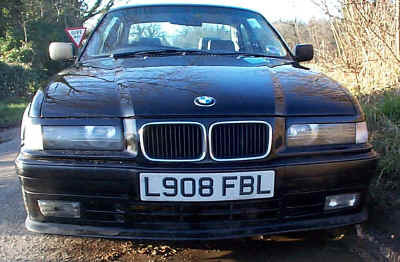 The 18's gave it an out of the ordinary look, but we wanted aggressive, sporty, look-at-me style. 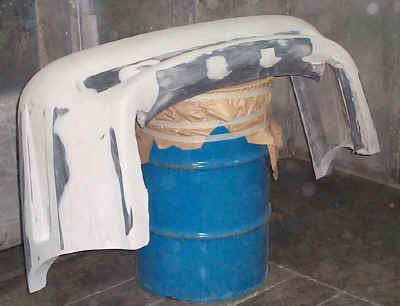 After 300 hours the hand made one-off bumpers, and skirts are finally ready for priming. Made mostly from filler all items are so heavy that they can no longer be fitted to the car, and take two people to lift them. 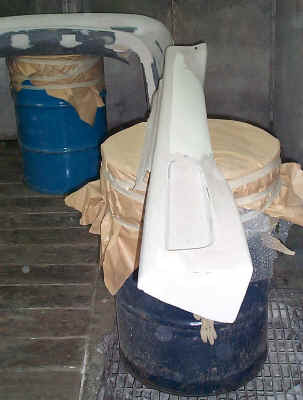 In total 15 large tubs of filler have been used - that's 105KG!!! 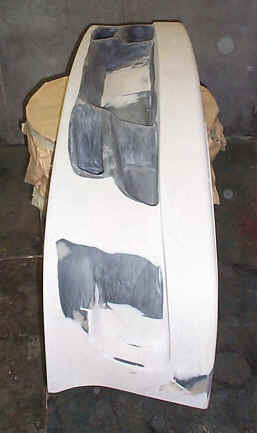 As you can see these pictures of the front bumper master (or plug) ready for priming clearly show that whilst you can make out the Z3 vents in the centre the entire rest of the bumper is made from filler. 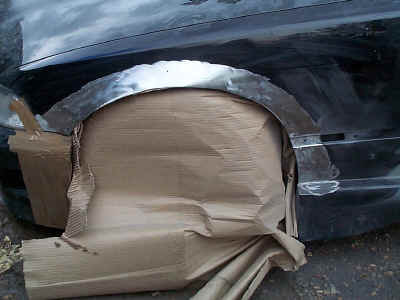 This is how most new bumpers are made - it takes ages and costs a fortune. 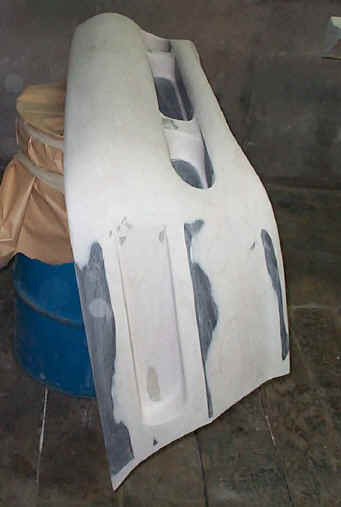 Once these originals have been painted they are blocked, and polished as real items would be prior to being moulded. 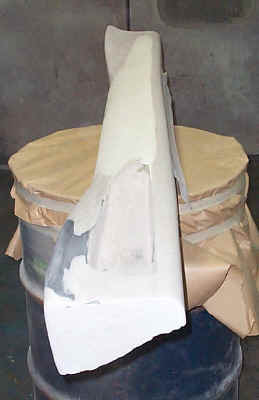 Once the moulds have had time to properly cure copies are made, and fitted. 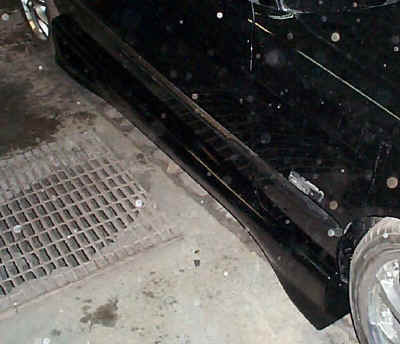 In this case the items are an absolutely superb fit on the car, with very tight shut lines, which is a testament to the high quality prep work undertaken before the items were moulded. 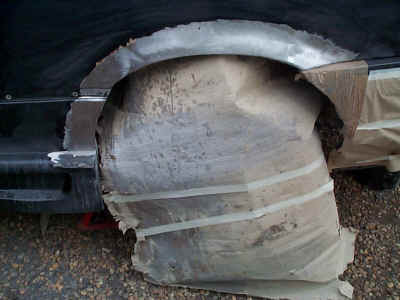 They are then fitted and painted as normal. The kit all fitted and painted. 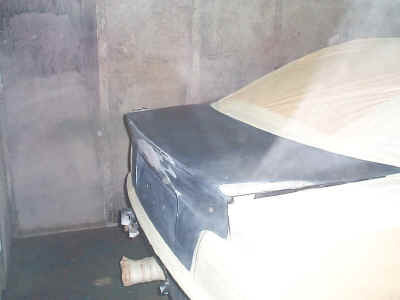 The main ducts have all been fitted with mesh, and the rear vent modified for the unusual exhaust. 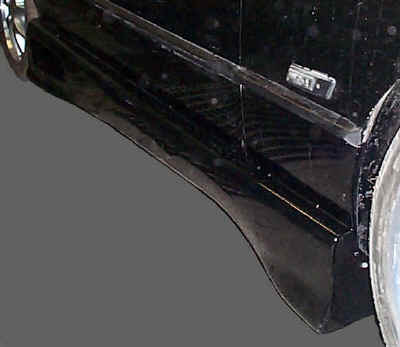 The while tail lenses look good but are soon to be replaced by Autofashion twin taillights. 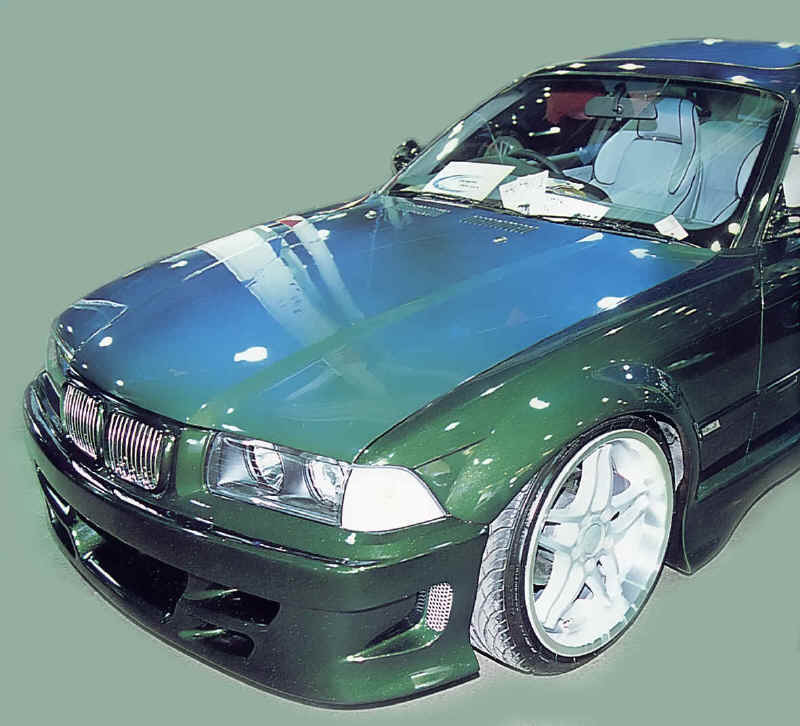 The car was featured in Performance BMW May 2001 and Fast Car Summer 2001. 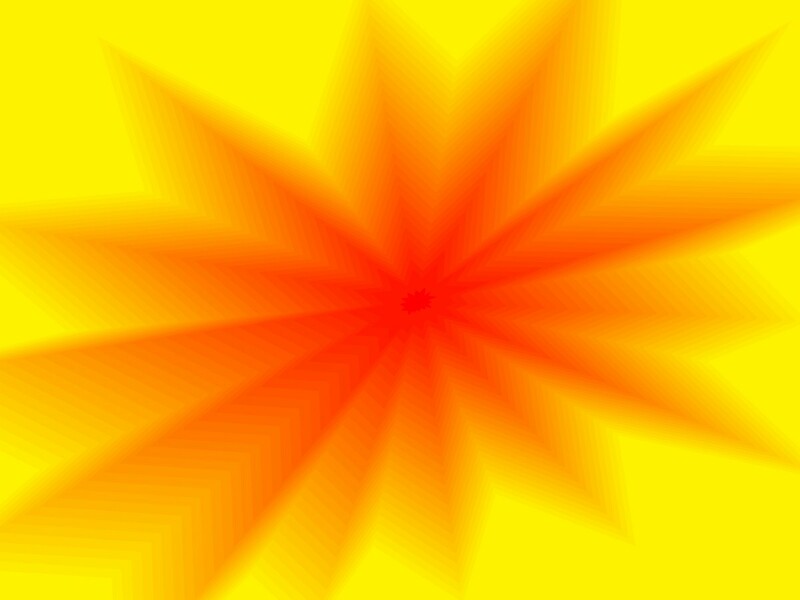 Click on Mag to see features. 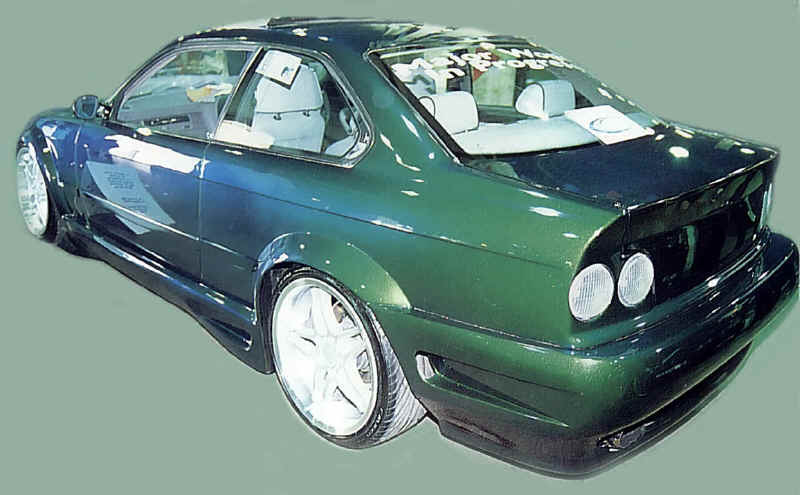 In the Autumn of 2001 it was returned for Phase Two which included wide arches, and twin taillights. 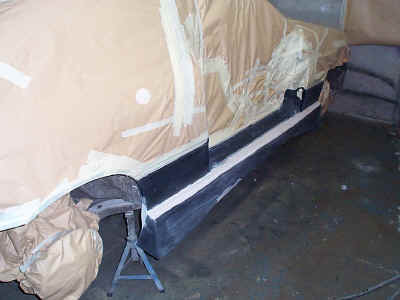 Below you can see we have removed the paint and covered the wheels ready to bond the arches. 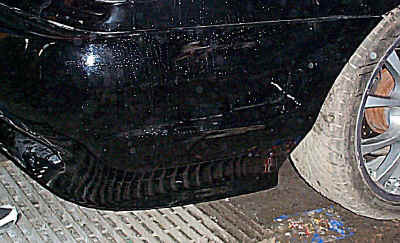 The car was featured in Fast Car July 2002. Watch for a new feature, and better photos soon.